When I first received the press info about the Cirque x Arms and Armory "Alter Ego" collaboration, I immediately knew I would love it. 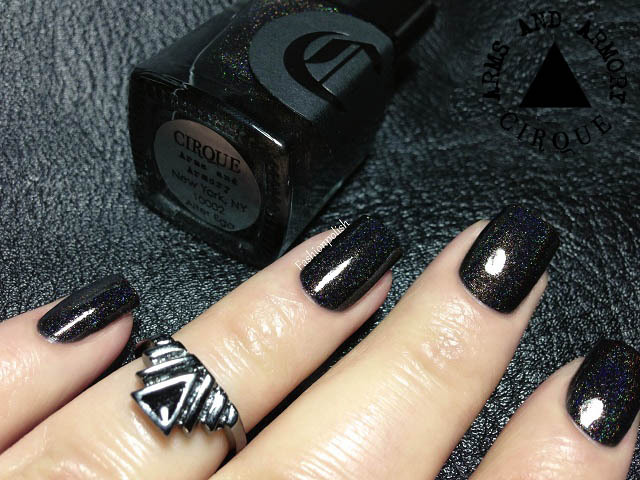 Truth is I love Cirque but I also love black nail polish, holos and rings... Just the idea of having all of these in one set seemed like the perfect concept to me. Without further ado, here's the Alter Ego collaboration! I might have got a little carried away with the swatches... I honestly had a hard time narrowing it down to just these. 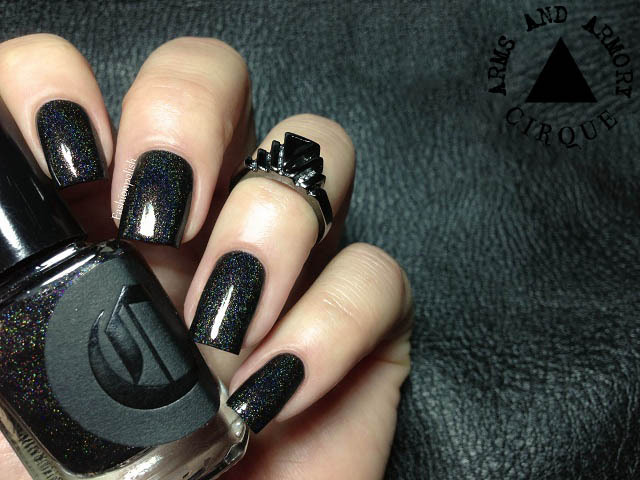 Obviously, I love the Alter Ego polish, the holo effect is beautiful! Subtle but still very visible in direct lighting. Formula was pure perfection, smooth and self leveling, applied mike a dream and showed high pigmentation with unexpected opacity even on the first coat. I used two coats plus topcoat here and for once, I can also comment on wear wince I've worn it for 4 days straight with no sign of chips and almost nonexistent tipwear. LOVE, I tell you! How about you? How do you feel about this set? 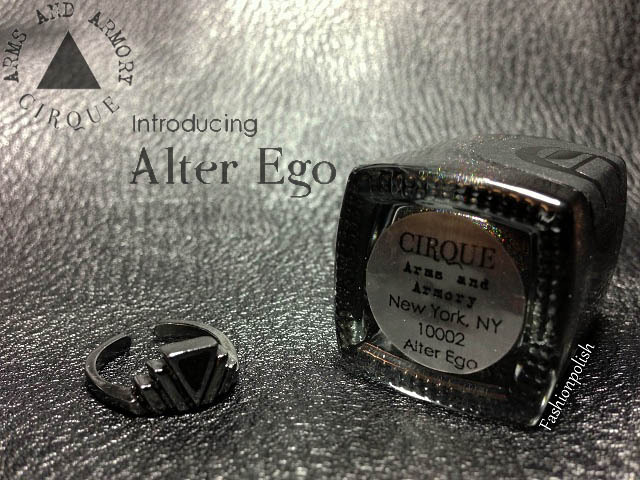 The "Alter Ego" set retails for $42.00 and can be found at : Armsandarmory.com and www.cirquecolors.com (currently sold out but back soon). Immaculate!!!! 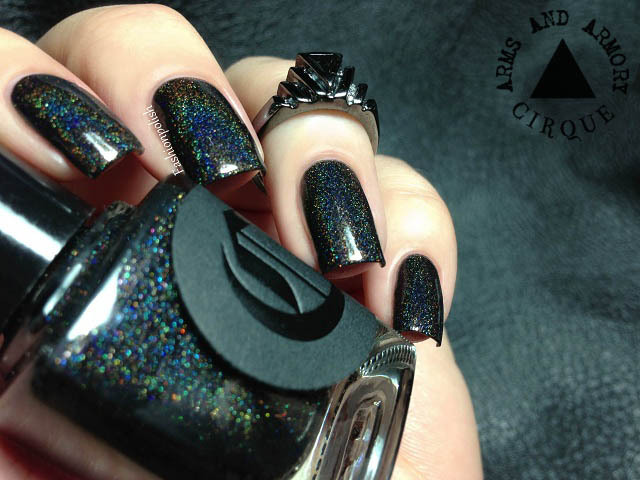 I love Cirque as well and as so many other polishes od this brand Alter Ego also sits on my wishlist :-). The idea to have a ring and a polish released as a set is awesome!!! Amazing Polish. And I like the Ring too! Gorgeous! 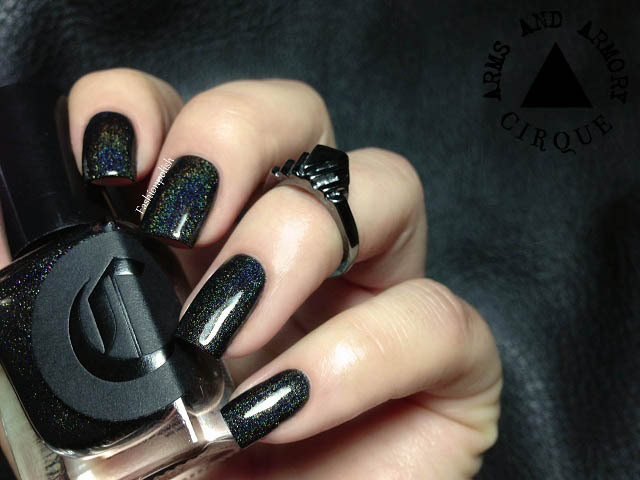 It reminds me of Zoya Storm. Love this! 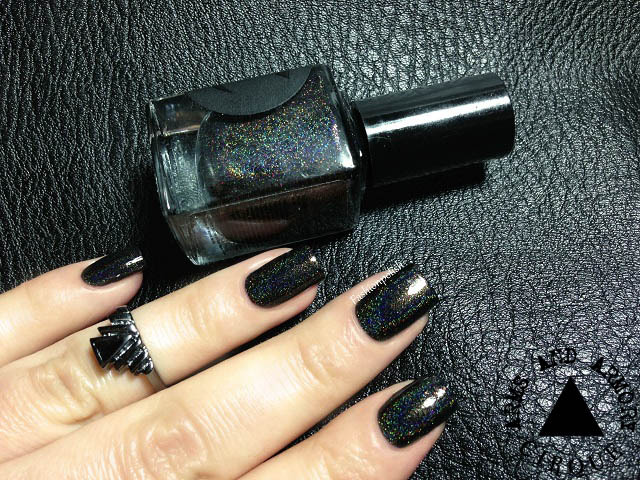 This one really reminds me a lot of Zoya Storm but I have never seen a side by side comparison...and most all the photos of Storm seem to show it way more rainbow holo then it is in real life - something about Storm that just pulls up the rainbows. I can recall a # of polishes in the past that always used to have a ring on them. Beautiful! What base coat/top coat have you used? SO gorgeous. It's edgy yet feminine at the same time. Love it!! Your pictures are really amazing! 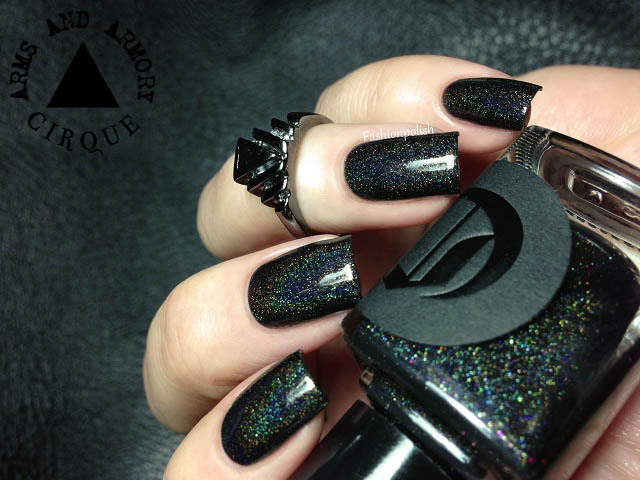 It's a wonderful polish, i love it so much!